Stacy C. Gray, D.C., is a chiropractor located in Raleigh, NC. Techniques: • CranioSacral Therapy • Gonstead • Motion Analysis (Palpation) Take the next step and contact Dr. Stacy C. Gray, D.C., for a consultation in Raleigh, NC or to get more information. Stephen Hensel, D.C., is a chiropractor located in Raleigh, NC. Take the next step and contact Dr. Stephen Hensel, D.C., for a consultation in Raleigh, NC or to get more information. Alan A Celeste, D.C., is a chiropractor located in Raleigh, NC. Techniques: • Applied Kinesiology Take the next step and contact Dr. Alan A Celeste, D.C., for a consultation in Raleigh, NC or to get more information. Erin Kuczmarski, D.C., is a chiropractor located in Raleigh, NC. Take the next step and contact Dr. Erin Kuczmarski, D.C., for a consultation in Raleigh, NC or to get more information. Robert Ronchetti, D.C., is a chiropractor located in Raleigh, NC. Take the next step and contact Dr. Robert Ronchetti, D.C., for a consultation in Raleigh, NC or to get more information. James Winget, D.C., is a chiropractor located in Raleigh, NC. Take the next step and contact Dr. James Winget, D.C., for a consultation in Raleigh, NC or to get more information. Marc S Gottlieb, D.C., is a chiropractor located in Raleigh, NC. Take the next step and contact Dr. Marc S Gottlieb, D.C., for a consultation in Raleigh, NC or to get more information. Susanna Boehmke, D.C., is a chiropractor located in Raleigh, NC. Techniques: • Chiropractic Biophysics • Applied Kinesiology Take the next step and contact Dr. Susanna Boehmke, D.C., for a consultation in Raleigh, NC or to get more information. John Yancho, D.C., is a chiropractor located in Raleigh, NC. Techniques: • Diversified • Cox • Gonstead • Activator Methods Take the next step and contact Dr. John Yancho, D.C., for a consultation in Raleigh, NC or to get more information. Ralph Ransone, D.C., is a chiropractor located in Raleigh, NC. Techniques: • Thompson • Cox • Diversified • Gonstead Take the next step and contact Dr. Ralph Ransone, D.C., for a consultation in Raleigh, NC or to get more information. George W Tyler, D.C., is a chiropractor located in Raleigh, NC. Techniques: • Activator Methods • Diversified • Neuro Muscular Technique • Trigger Point Therapy • Myofascial Take the next step and contact Dr. George W Tyler, D.C., for a consultation in Raleigh, NC or to get more information. J Rex Eatman, D.C., is a chiropractor located in Raleigh, NC. Take the next step and contact Dr. J Rex Eatman, D.C., for a consultation in Raleigh, NC or to get more information. Anthony W Carpenter, D.C., is a chiropractor located in Raleigh, NC. Techniques: • Applied Kinesiology • Diversified • Flexion-Distraction Take the next step and contact Dr. Anthony W Carpenter, D.C., for a consultation in Raleigh, NC or to get more information. James Gartland, D.C., is a chiropractor located in Raleigh, NC. Take the next step and contact Dr. James Gartland, D.C., for a consultation in Raleigh, NC or to get more information. Joe Harris, D.C., is a chiropractor located in Raleigh, NC. Take the next step and contact Dr. Joe Harris, D.C., for a consultation in Raleigh, NC or to get more information. Brian Cunningham, D.C., is a chiropractor located in Raleigh, NC. Take the next step and contact Dr. Brian Cunningham, D.C., for a consultation in Raleigh, NC or to get more information. Jeffrey W Brower, D.C., is a chiropractor located in Raleigh, NC. Techniques: • Diversified • Activator Methods • Cox • Manual Adjusting Take the next step and contact Dr. Jeffrey W Brower, D.C., for a consultation in Raleigh, NC or to get more information. Michael L Hall, D.C., is a chiropractor located in Raleigh, NC. Take the next step and contact Dr. Michael L Hall, D.C., for a consultation in Raleigh, NC or to get more information. Catherine Hoag, D.C., is a chiropractor located in Raleigh, NC. Take the next step and contact Dr. Catherine Hoag, D.C., for a consultation in Raleigh, NC or to get more information. Steve Rosoff, D.C., is a chiropractor located in Raleigh, NC. Take the next step and contact Dr. Steve Rosoff, D.C., for a consultation in Raleigh, NC or to get more information. Adam Austin, D.C., is a chiropractor located in Raleigh, NC. Techniques: • Upper Cervical • Activator Methods Take the next step and contact Dr. Adam Austin, D.C., for a consultation in Raleigh, NC or to get more information. Brian Ransone, D.C., is a chiropractor located in Raleigh, NC. Techniques: • Motion Analysis (Palpation) • Palmer Package • Trigger Point Therapy • Activator Methods • Cox • Diversified Take the next step and contact Dr. Brian Ransone, D.C., for a consultation in Raleigh, NC or to get more information. Richard V Lewis, D.C., is a chiropractor located in Raleigh, NC. Take the next step and contact Dr. Richard V Lewis, D.C., for a consultation in Raleigh, NC or to get more information. Jessica M. Fay, D.C., is a chiropractor located in Raleigh, NC. Techniques: • Activator Methods • Active Release Technique • Diversified • Sacro Occipital Technique • Thompson Take the next step and contact Dr. Jessica M. Fay, D.C., for a consultation in Raleigh, NC or to get more information. Randy Murray, D.C., is a chiropractor located in Raleigh, NC. Techniques: • Activator Methods • Diversified • Thompson Take the next step and contact Dr. Randy Murray, D.C., for a consultation in Raleigh, NC or to get more information. Ronald W Wahler, D.C., is a chiropractor located in Raleigh, NC. Techniques: • Gonstead • Diversified Take the next step and contact Dr. Ronald W Wahler, D.C., for a consultation in Raleigh, NC or to get more information. Elizabeth S Pagano, D.C., is a chiropractor located in Raleigh, NC. Techniques: • Thompson • Manual Adjusting • Cervical Drop Headpiece • Diversified • Activator Methods • Gonstead • Graston Take the next step and contact Dr. Elizabeth S Pagano, D.C., for a consultation in Raleigh, NC or to get more information. John A Smith, D.C., is a chiropractor located in Raleigh, NC. Techniques: • Palmer Package • Diversified • Activator Methods • Gonstead Take the next step and contact Dr. John A Smith, D.C., for a consultation in Raleigh, NC or to get more information. Rick L Florez, D.C., is a chiropractor located in Raleigh, NC. Techniques: • Diversified • Gonstead • Cervical Drop Headpiece • Activator Methods Take the next step and contact Dr. Rick L Florez, D.C., for a consultation in Raleigh, NC or to get more information. 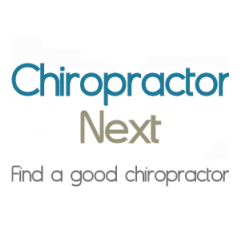 Jill R Winget, D.C., is a chiropractor located in Raleigh, NC. Take the next step and contact Dr. Jill R Winget, D.C., for a consultation in Raleigh, NC or to get more information. Christopher Johnson, D.C., is a chiropractor located in Raleigh, NC. Techniques: • Diversified • Activator Methods Take the next step and contact Dr. Christopher Johnson, D.C., for a consultation in Raleigh, NC or to get more information. Greg Carter, D.C., is a chiropractor located in Raleigh, NC. Techniques: • Chiropractic Biophysics Take the next step and contact Dr. Greg Carter, D.C., for a consultation in Raleigh, NC or to get more information. A L Whitehurst, D.C., is a chiropractor located in Raleigh, NC. Techniques: • Diversified Take the next step and contact Dr. A L Whitehurst, D.C., for a consultation in Raleigh, NC or to get more information. Leanna LeMaster, D.C., is a chiropractor located in Raleigh, NC. Techniques: • Chiropractic Biophysics Take the next step and contact Dr. Leanna LeMaster, D.C., for a consultation in Raleigh, NC or to get more information. Brett Hightower, D.C., is a chiropractor located in Raleigh, NC. Take the next step and contact Dr. Brett Hightower, D.C., for a consultation in Raleigh, NC or to get more information. Dale A Patrick, D.C., is a chiropractor located in Raleigh, NC. Take the next step and contact Dr. Dale A Patrick, D.C., for a consultation in Raleigh, NC or to get more information. Chad Chisholm, D.C., is a chiropractor located in Raleigh, NC. Take the next step and contact Dr. Chad Chisholm, D.C., for a consultation in Raleigh, NC or to get more information. Gregory Barnes, D.C., is a chiropractor located in Raleigh, NC. Techniques: • Chiropractic Biophysics • Diversified • Life College Cervical • Manual Adjusting • Pettibon • Thompson • Upper Cervical Take the next step and contact Dr. Gregory Barnes, D.C., for a consultation in Raleigh, NC or to get more information. Matthew B Osborne, D.C., is a chiropractor located in Raleigh, NC. Techniques: • Activator Methods • Diversified • Motion Analysis (Palpation) • Nimmo • Palmer Package • Trigger Point Therapy Take the next step and contact Dr. Matthew B Osborne, D.C., for a consultation in Raleigh, NC or to get more information. Matthew Schmid, D.C., is a chiropractor located in Raleigh, NC. Take the next step and contact Dr. Matthew Schmid, D.C., for a consultation in Raleigh, NC or to get more information. Lindsay Mumma, D.C., is a chiropractor located in Raleigh, NC. Techniques: • Concept Therapy Institute Take the next step and contact Dr. Lindsay Mumma, D.C., for a consultation in Raleigh, NC or to get more information. Alisha C Davis, D.C., is a chiropractor located in Raleigh, NC. Techniques: • Body Restoration Technique • CranioSacral Therapy • Gonstead Take the next step and contact Dr. Alisha C Davis, D.C., for a consultation in Raleigh, NC or to get more information. Alicia Nossov, D.C., is a chiropractor located in Raleigh, NC. Take the next step and contact Dr. Alicia Nossov, D.C., for a consultation in Raleigh, NC or to get more information. Chas Kubasko, D.C., is a chiropractor located in Raleigh, NC. Techniques: • Diversified Take the next step and contact Dr. Chas Kubasko, D.C., for a consultation in Raleigh, NC or to get more information. Elizabeth Read, D.C., is a chiropractor located in Raleigh, NC. Take the next step and contact Dr. Elizabeth Read, D.C., for a consultation in Raleigh, NC or to get more information. John S Boccella, D.C., is a chiropractor located in Raleigh, NC. Techniques: • Atlas Orthogonal • Activator Methods • Upper Cervical • Sweat Take the next step and contact Dr. John S Boccella, D.C., for a consultation in Raleigh, NC or to get more information.